FA-GO fiber array endface analyzer is the first type instrument to measure FA component in the world, which is developed by Sunma Technology Inc. FA-GO filled up the instrument blank of FA measurement, it has important meaning to raise endface quality of fiber array, also to improve packing efficiency, success rate and reliability of PLC. 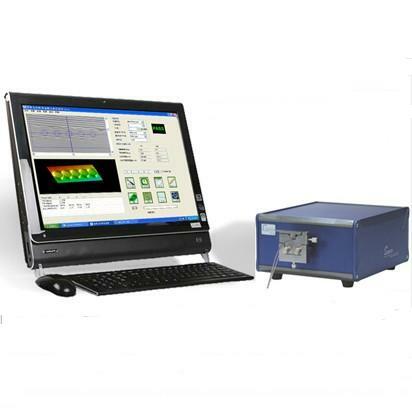 FA-GO fiber array endface analyzer owns two kinds of measurement mode- interferometer mode and fiber core distance mode. It is able to measure totally enface status of fiber array, including polishing angle, tilt angle, surface roughness, fiber high, fiber core distance etc, and it is able to generate surface 3D graph, fiber position graph, convenient for user to inspect the endface condition intuitively.